It's still dark at 5 in the morning... The first baker is unlocking the door, switching on the lights and getting ready to fill Dave's bakery with aromas sweet and divine! Throughout today, our bakers will produce a dizzying menu of sweets and treats, from scratch, from Dave's own guarded recipes. They'll take care to create the delicate and the hearty, the sweet and the savory. Dave's bakers take high quality ingredients and lovingly mix, roll, cut and bake each one of our delicous baked treats at our centrally located baking commissary. It's a lot of work, but we know that our customers appreciate fresh breads and pastries and the high quality that we constantly strive for. 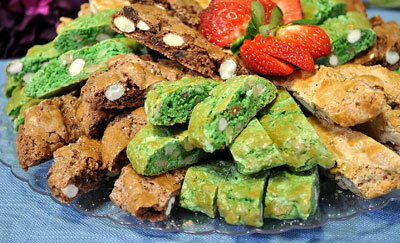 After all, our bakers are highly trained professionals who take their jobs seriously. They come to us with extensive backgrounds, and then train in Dave's Kitchen to insure consistency and uphold our unwavering standards. 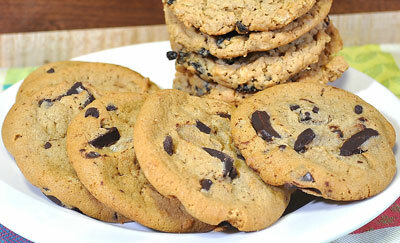 From chocolate chip to oatmeal raisin, peanut butter to sugar, Dave's scratch made cookies are sure to please! 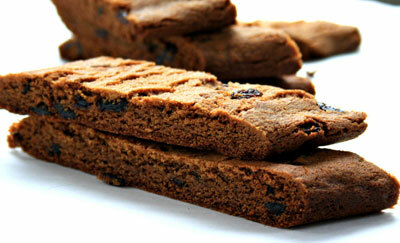 Deliciously crunchy, Dave's 8+ varieties of biscotti are great for dipping or plain... you decide! 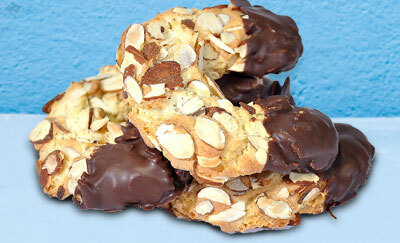 A local favorite, these horseshoe-shaped cookies are covered in almonds and dipped in chocolate to make them extra delicious. 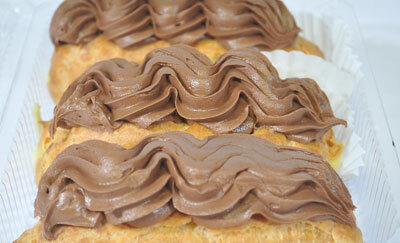 Eclairs are a labor of love at Dave's. 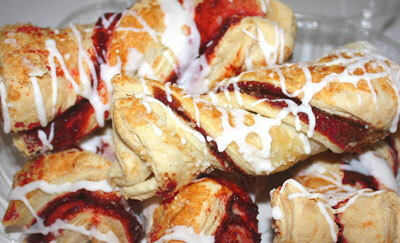 Scratch made pastry, frosting and cream filling are so worth it! 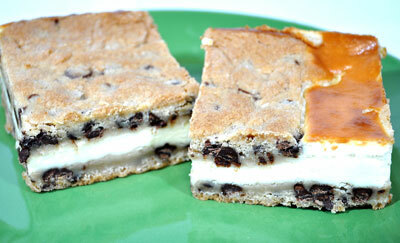 Dense, creamy and available in a variety of flavors , Dave's cheesecake squares are a real crowd-pleaser. 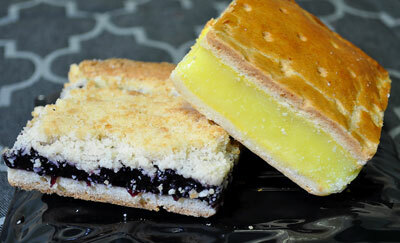 Our bakers love adding sweet fruit to our pastries in the form of our scratch made fruit squares and fruit slices. 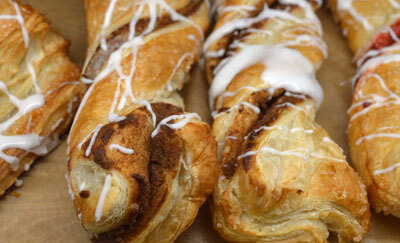 Who can resist Dave's puff pastry cinnamon sticks? They're a little sweet, a little spiced and a lot of delicious! Made from scratch, Dave's raspberry sticks balance tart and sweet flavors to create an irresistable treat. 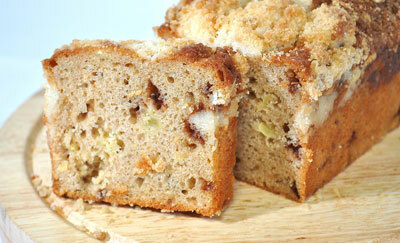 Mini loaves come in a number of delicious flavors including Apple, Banana Nut Chocolate Chunk, Biscotti, and Lemon. Hermits are a molasses cookies that's made from scratch at Dave's. Fans love the blend of crisp, chewy, sweet and spicy. 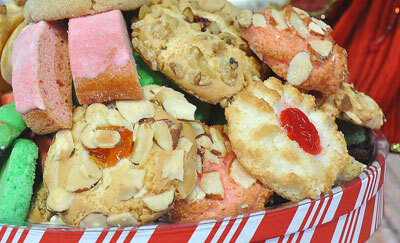 Dave's holiday cookie trays offer a delicious assortment of our finest Italian cookes, all baked from scratch. 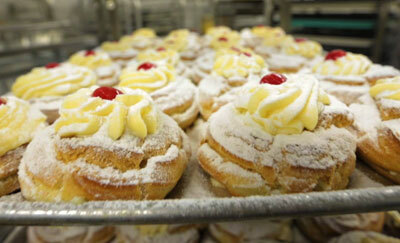 Throughout the year, Dave's bakery makes seasonal baked goods like irish soda bread, zeppoles, Italian sweetbread and more.